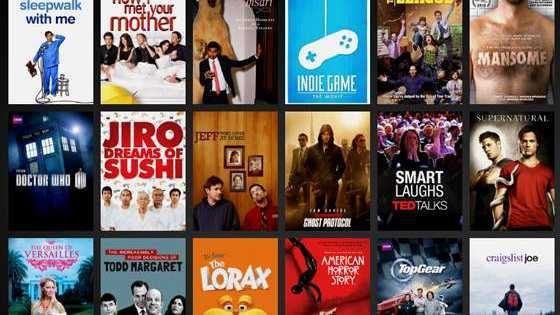 Netflix has released a new tool to limit mobile data use. NETFLIX has released a new tool for entertainment fan to control how much data they are using while watching movies and TV programs on mobile devices. The 'cellular data usage' tool will particularly appeal to those who have limited data plans and don't want a nasty shock when they get their monthly bill. "As we have launched Netflix around the world, we have seen big differences in how much people are streaming on smartphones and what kinds of mobile data plans they have,'' Netflix's director of product innovation Eddy Wu said. The default setting on the new tool will enable people to stream about three hours of TV shows and movies per gigabyte of data. "In terms of bitrates, that currently amounts to about 600 Kilobits per second. "Our testing found that, on cellular networks, this setting balances good video quality with lower data usage to help avoid exceeding data caps and incurring overage fees. "If you have a mobile data plan with a higher data cap, you can adjust this setting to stream at higher bitrates. "Our goal is to give you more control and greater choice in managing your data usage whether you're on an unlimited mobile plan or one that's more restrictive. To set your cellular data usage, make sure you have updated your Netflix app on iOS or Android to the most recent version. Select "App Settings" from the menu, and pick "Cellular Data Usage." There you can switch off the automatic default and select a higher or lower data usage setting that works with your mobile data plan, including an unlimited option. This setting only affects data usage while viewing on your mobile device on cellular networks; streaming on Wi-Fi is not affected nor is streaming when tethered. Is this the greatest hour you can spend on Netflix?